Yesterday was a great day for working families in our city, and great day for our movement to hold UPMC accountable. Voters elected Mayor Elect Bill Peduto, Councilman Dan Gilman, and Councilwoman Deb Gross, and re-elected Councilwoman Natalia Rudiak and Councilman Daniel Lavelle knowing their strong and public stand on the need to rebuild Pittsburgh from the middle out. 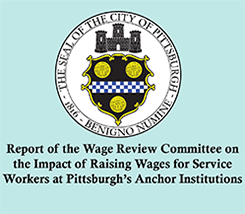 That means working together to ensure that UPMC creates good middle class jobs, provides access to care to every resident, and contributes to vital public services that make our city great. 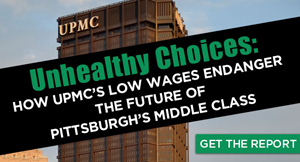 We’ll be working alongside Mayor Peduto and other elected leaders to make UPMC stop firing workers and instead work with them to create middle class jobs; to stop suing our City and instead work with us to strengthen city services; to stop slamming doors on people who need healthcare and instead work with the provider community to be sure everyone has access to all of our great hospitals. It truly is time for UPMC to act like a real purely public charity. Thank you Mayor Peduto, and our new and re-elected City Council members, Congratulations on your victories!